- This tiny dragonet is a far cry from its larger, fiercer brothers. Though tiny, it is beautifully detailed. You can see every scale on its body. Measures only 3/8" tall. Although it comes with its own silver chain, it is also the perfect size for a charm bracelet. 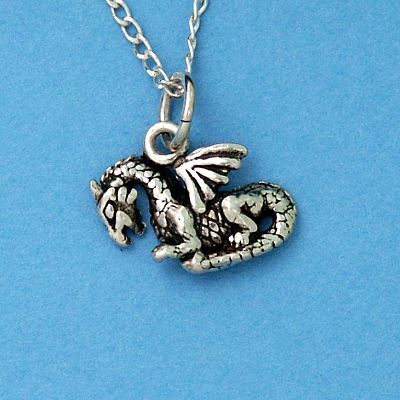 Do you have any other questions about our Silver Dragonet Pendant?